Las Vegas is a city with an increasingly diverse and unique quality of life, Las Vegas continues to evolve with fresh new cultural offerings that appeal to a wide range of tastes and budgets. Las Vegas is home to 29 exceptional performing arts venues ranging from extravagant world-class performance halls to intimate community cultural arts centers. The internationally-recognized Nevada Ballet Theater hosts performers from across the globe in a variety of contemporary and modern performances. The theater is also home to The Academy, a comprehensive dance education institute. Call 702.243.2623 702.243.2623. The largest arts organization in the state, the Las Vegas Philharmonic presents its Masterworks and Pop Series at different venues across the valley. The company will soon make its new home at the Smith Center for the Performing Arts, set to open in 2012. Call 702.258.5438 702.258.5438. Designed as a world-class performing arts center and cultural complex, the Smith Center for the Performing Arts will celebrate artistic excellence, education and culture from around the world when it opens in 2012. Call 702.982.7805 702.982.7805. Enjoy an evening under the stars at this popular outdoor Super Summer Theater. A range of classical musicals make this an excellent venue for family entertainment. Call 702.875.4141 702.875.4141. A wide range of art collections make their way through the Bellagio Gallery of Fine Arts, giving residents an opportunity to view world-class works and exhibits. Call 702.693.7871 702.693.7871. A fun and educational venue fit for the whole family, downtown's Las Vegas Natural History Museum features hands-on interactive exhibits and replicas of desert-dwelling animals. Call 702.384.3466 702.384.3466. A program of the Performing Arts Division of the City of Las Vegas Department of Leisure Services, The Rainbow Company is a nationally-acclaimed and award-winning youth theater group. The Rainbow Company is dedicated to creating quality children's theater productions for Las Vegas' youngest residents. Call 702.229.6553 702.229.6553. With displays on the second floor of City Hall and along the breezeway connecting City Hall to the Stewart Avenue parking garage, this free gallery features an ever-changing eclectic collection of works. Admission is always free. Call 702.229.4674 702.229.4674. Classes are offered in dance, music, children's theater, gymnastics, cheerleading and aerobics. Events such as workshops, concerts and competitions are held throughout the year. Call 702.458.7575 702.458.7575. Reed Whipple Cultural Center programs include a children's summer concert series, cultural arts classes, concerts and art exhibits. A theater, ballroom and conference room are available for rent. Call 702.229.6211 702.229.6211. Open to the public, this center is home to a variety of cultural arts programs, concert series, lectures and art exhibits. Call 702.229.6383 702.229.6383. 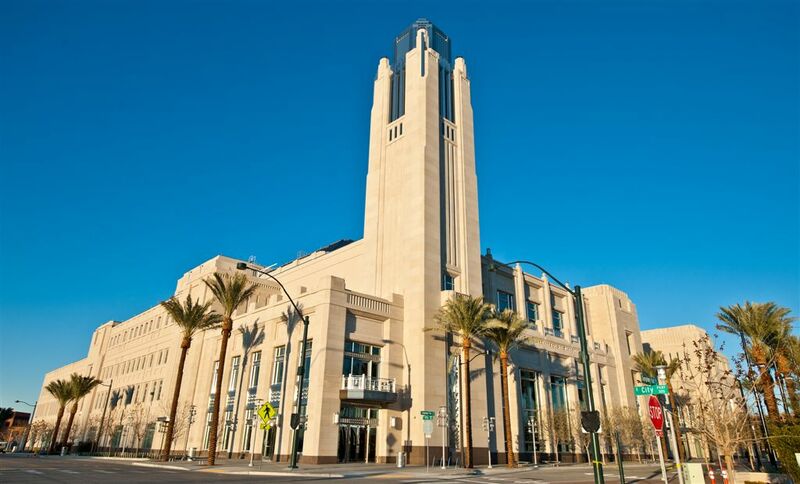 A professional repertory theater housed in the Judy Bayley Theatre at the University of Nevada, Las Vegas, this organization engages national and international theater professionals in all disciplines for residencies with the company. Call 702.895.3663 702.895.3663. For a unique cultural vibe, many Las Vegas residents head downtown once a month for First Friday. Centered within Charleston Boulevard and Main Street in the heart of the Downtown Arts District, First Friday is an ongoing monthly arts, entertainment and social event featuring an eclectic mix of events, from art exhibits to theatrical presentations, musical performances and poetry slams.